Lou Lou Girls > Cassie > Apple Chips!! At our school the cross country team is doing a fundraiser where they sell 14 pounds of gala apples for $17. I was so excited about it, until I realized that I was going to have way too much fruit for two people! Then I remembered that my grandma had a fruit dehydrator and I was stoked! 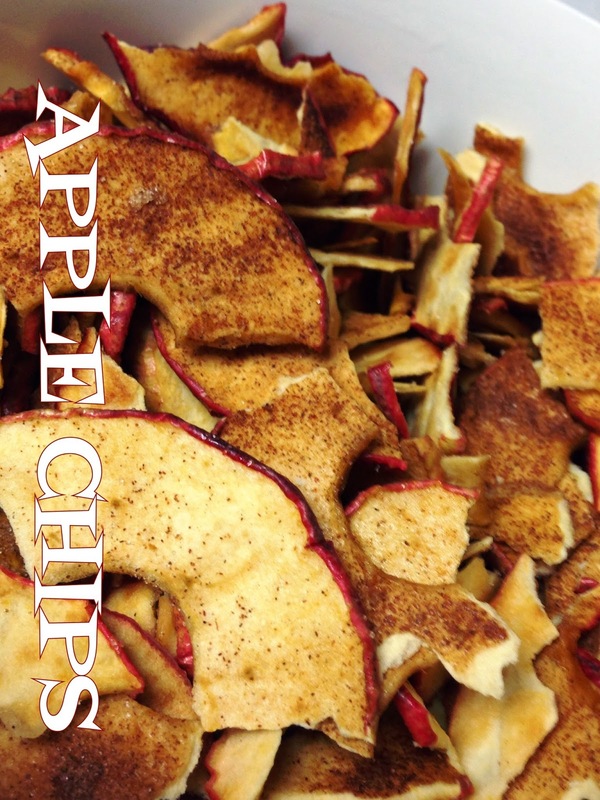 We made apple chips the very night we got it, ate them all and tried again! Funny, thing is we failed the second time so we couldn’t get a good picture even though they still tasted incredible! Heres the main difference between what we did the first and second time. The first time, we used a pampered chef apple peeler corer slicer, I saw one on eBay for $25. Then we soaked them in 4 cups of water, with 4 tablespoons of lime juice. Then we put them on the un-greased dehydrator shelves. Then we sprinkled cinnamon sugar on them. We don’t have a shaker, so Matt made one from a mason jar. I thought it was quite genius actually, but don’t tell him, he’ll just get a big head. He put tin foil on the top of the jar and then twisted on the lid. Then he poked holes in the top with skewers, Voila, instant shaker! Then, we dried them for 24 hours and peeled them up! Delicious! Hard and crispy! The perfect snack! The second time, we used a pampered chef apple peeler corer slicer again. Then we soaked them in 4 cups of water, with 4 tablespoons of citric acid for 4 minutes. Then we put them on greased dehydrator shelves. I found some dehydrators online for about $40, but they can be way more expensive! Up to you how much you love to make dried fruit! Then we sprinkled cinnamon sugar on them. Then, we dried them for 24 hours, the difference was they wouldn’t come up, we may have put too much citric acid in the water bath. I think that’s what we did, so try with our first mixture. It turned out perfect! Matt spent an hour trying to peel off all of the apples so that I could get a good picture and what you see above is what we got! He’s so sweet! They still taste amazing, they are just smaller pieces! oh I have a dehydrator! I did some apples but didn't think to sprinkle cinnamon duh me! I will have to make some more. I used lemon juice as well, worked great!